Gene Tierney is the lady of the moment as we prepare to ring in 2014. 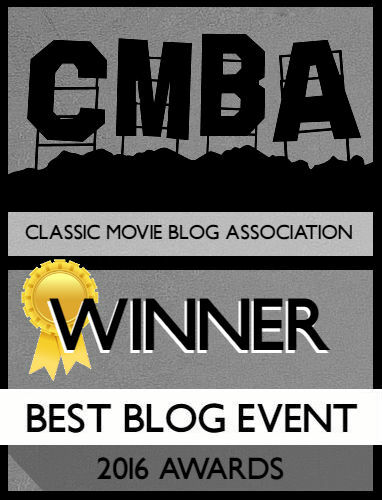 If you missed my review of the exquisite Gene in The Ghost and Mrs. Muir you should do so at the link posted. Gene is slowly becoming a favorite actress of mine, and much like another burgeoning favorite, Jennifer Jones, led a troubled life wracked by mental illness. Author Michelle Vogel has her heart in the right place with Gene Tierney: A Biography, but too much of the 247-pages feels like filler and repeating the same phrases just reworded differently. There certainly is a need for an objective exploration of Tierney, and Gene Tierney: A Biography works to fill the void, for now. 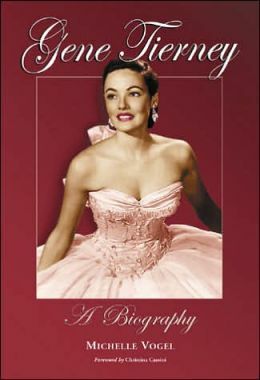 Gene Tierney: A Biography examines Tierney as an actress and a woman. Heralded as the “GET Girl” due to her breathtaking beauty, Tierney raced into leading actress territory at the age of 19. Fame hit her hard but Gene persevered. Her personal life was another story; the birth of her daughter Daria, who would spend the rest of her life in an institution due to a severe mental defect, left Gene with enough guilt to drive her to madness. Eventually, Gene would spend time in and out of mental institutions and receiving electroshock therapy to deal with her mental problems. Vogel’s biography hits all the necessary points of Tierney’s life, but fails to delve deeper than stating events in chronological order. The majority of her research is culled from interviews Tierney did in magazines, as well as her own autobiography. The only interview subject quoted especially for this book is Gene’s first husband, Oleg Cassini. Cassini is a man worthy of a full-scale biography and Vogel presents a clearer portrait of Cassini, through his quotations, than Tierney. It’s evident Cassini never stopped loving his wife, and grappled with the issues of his daughter’s birth and his ex-wife’s mental state. Tierney and Cassini had a make-up/break-up relationship, eventually tearing up their divorce papers, and that relationship is the heart of the biography. If Vogel writes another book, it should focus on Cassini because effort and research is evident there. One can’t fault Vogel for being unable to delve into Gene’s personal life with only fragments to go off of, but too often she relies on filler to pad the pages. This is okay, if it’s done in a way which flows smoothly. At times, a very small connection will be made to someone (Howard Hughes for example) and Vogel will go off to give a complete overview of their life. In the case of Hughes, she mentions him several times previously and then mid-way through goes into a lengthy explanation of his life. There’s also the stink of melodrama in this book, strange considering Vogel’s shying away from analysis on Tierney. An anecdote is mentioned about Tierney predicting a plane crash only to have Vogel put herself in Gene’s mind to say how sad it was she couldn’t save everyone. Other times you’ll notice yourself reading the same sentence, intent-wise, only rewritten differently. Unfortunately, this element, more than any other, happens far too often. 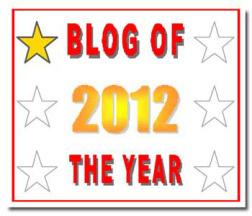 I hate to be harsh with regards to Vogel’s biography. It isn’t a hatchet job in any way, simply underwritten. The problem with biographies, especially ones where several people are deceased, is one has to go deeper into making connections between people, analyzing the films for connections, extrapolating. Gene Tierney: A Biography is a bare-bones, but sufficient biography for fans who want to understand her battles with mental illness and the guilt she felt about her daughter. If you’ve watched all of Tierney’s work, and want a deeper understanding of her as a person you’d probably do better to read Tierney’s actual autobiography. I think the Biography is on my Laura Blu-ray so I’ll have to give that a rewatch!